“By show of hands, how many people here think capitalism is better than socialism?” Or, “By show of hands, who has ever defined ‘[term]’ in the way they are defining it?” Not only can this begin/strengthen audience engagement, it can also emphasize a point—all while actually telling you their positions on the matter (although their answers may already be obvious). Referencing someone in the audience (or the audience itself). For example, in a parli final round, a well-known speaker from our area used his little brother’s experience as an example for one of his points, which made the audience lighten up and helped connect them with the debater, establishing some ethos. Referencing events relevant to the audience. For example, a recent debate at Ole Miss was about the NCAA, which was a thorny topic for the audience, since we have been facing disciplinary action from the NCAA. In short, you can use the mythos (e.g. experiences/beliefs) of the audience as an important persuasive tool. “You know the lyrics: ______”; “Say it with me: ______”; etc. This can be great for audience engagement and emphasizing a point. Although not strictly for crowds, this tends to be most effective with crowds. At the same time, however, you have to be careful with this, since it can be awkward if the audience doesn’t go along. Thus, it’s important to have prepared the audience, gauge the mood, and have a recovery (described later). Singling someone out (e.g. for a question). As briefly mentioned above, it’s important to keep in mind “recoveries” or “escapes” in case things don’t go according to plan (e.g. people don’t respond). Although they depend on the specific instance, common recoveries include 1) confidently moving on as if things did go according to plan and 2) laughing it off and moving on. You might want to have a sentence or two already formulated for these circumstances. 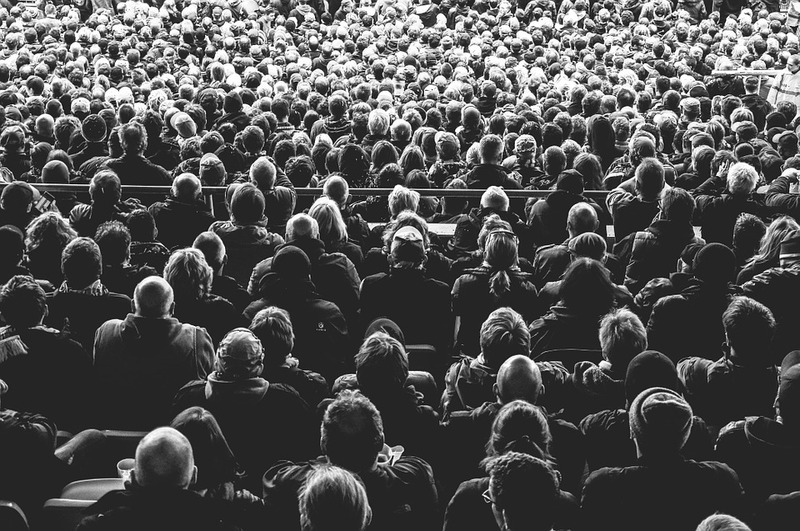 Ultimately, there are just some things that you can’t (effectively) do when speaking to a small audience but which you can (effectively) do when speaking to crowds. Additionally, there are some important principles to keep in mind when speaking to crowds. By implementing some of these practices, you can improve your performance in debate and in the real world. The list here is by no means exhaustive; we could probably devote an entire series to this topic. Thus, if you have any recommendations or thoughts, feel free to comment below!